The Jaybird Freedom F5 are great sports headphones that have a more streamlined design than the X2 and X3. They're sufficiently stable for most workout routines and have a decent sound quality. They also block a lot of ambient noise passively and barely leak so you can play your music at higher volumes and not distract anyone around you. Unfortunately, the bulky charging clip is inconvenient and makes the headphones a bit unstable for running when attached. Charging clip is bulky and inconvenient. 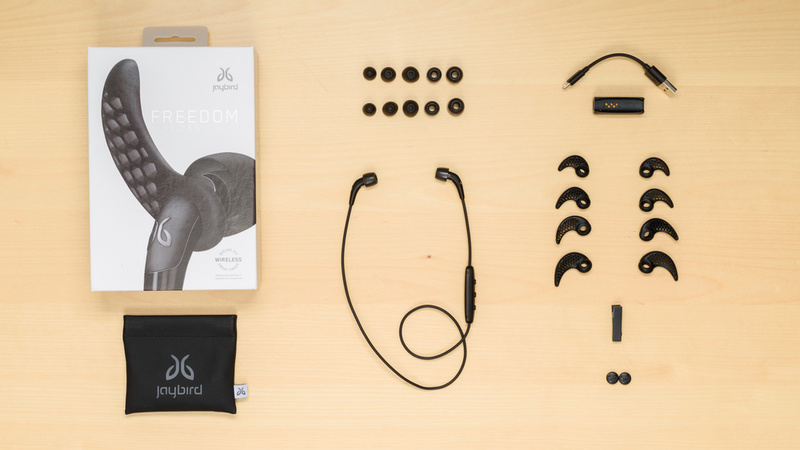 The Jaybird Freedom Wireless are stable headphones for sports. The earbuds are considerably smaller and more portable than the other Jaybird models. They're also lighter despite having a thicker inline remote. However, the controls are not as responsive as that of the X3, and the charging clip is quite large and heavy. It sways a lot if you leave it connected to the remote, which is not ideal for running and working out. The Jaybird F5 have a sleeker form factor than the older Jaybird models. The earbuds are smaller and thinner than that of the X3 or X2 since a lot of the electronics was redistributed to the inline remote. Unfortunately, this also makes the in-line remote significantly thicker than the other Jaybird headphones. Overall though they have an understated look that will work for most but also come in brighter color schemes to suit your tastes and preferences. The Jaybird Freedom are very lightweight in-ear headphones that come with multiple tip sizes to help you find a good fit. They also include foam tips in the box that are a bit more comfortable than the regular silicone tips. However, finding the right fit can take some time and they get a bit tiring after wearing them for a while. If you don't like the fit of in-ears, then some of the same issues will be present with these ones. 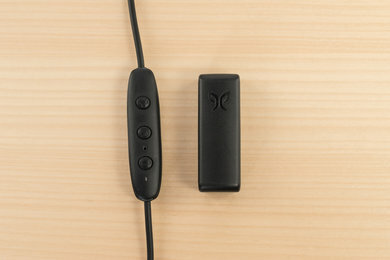 The Jaybird Freedom's control scheme is efficient and straightforward. They provide the essential functions; call/music, track skipping, and volume controls. 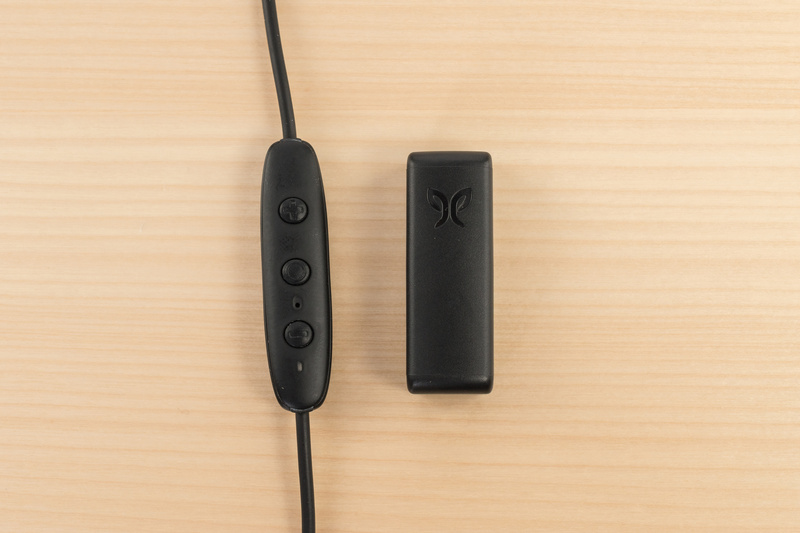 The inline remote is not as wide or as responsive as that of the Jaybird X3, but it's simple and easy-to-use. The Jaybird F5 very breathable headphones. The earbuds are smaller than most in-ears and barely make contact with any part of your ear except when the stability fins are attached. However, even with the stability fins on, they do not cause a big difference in temperature. 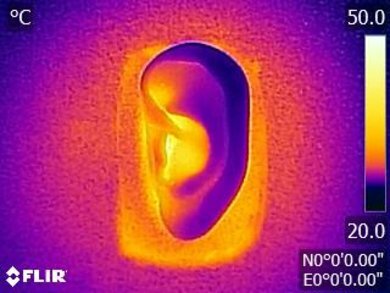 They trap a little heat within the ear canal but it's negligible and should not make you sweat more than average, which is good for sports. 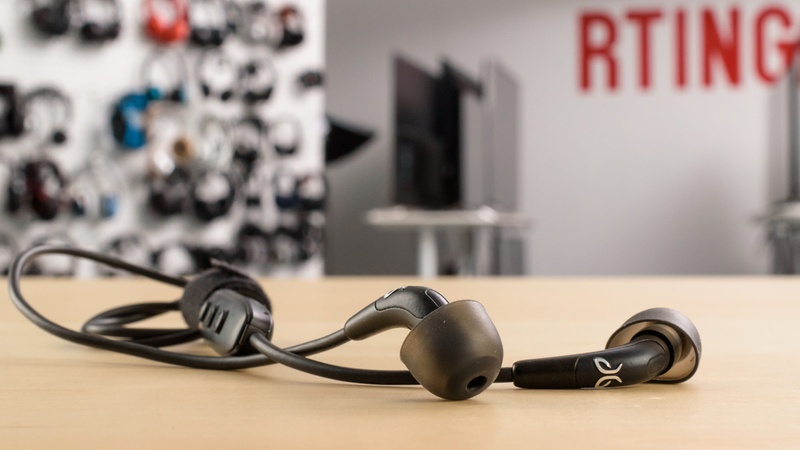 The Jaybird Freedom F5 are one of most portable Jaybird headphones that we've tested so far. Their earbud design is much thinner than the X3 or the X2, but they have a slightly thicker in-line remote. Unfortunately, if you include the charging accessory, they become less portable, but you most likely won't keep the charging dongle docked when using the headphones. 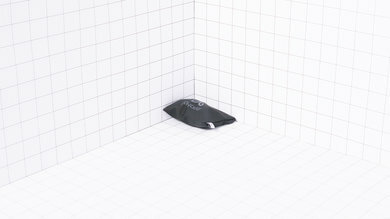 These headphones come with a carrying pouch that will protect the headphones from scratches and minor water exposure. However, unlike the X2, it's not a solid case, so it won't shield your headphones against impacts or drops. On the upside, this pouch doesn't add much bulk to the headphones, which makes it easy to carry on you at all times. The Jaybird Freedom are well-built and decently sturdy headphones. The earbuds are lightweight and made of a tough plastic that won't easily break even after multiple drops. However the inline remote feels a bit cheap, and the cable is not as durable as that of the X2 or the X3. 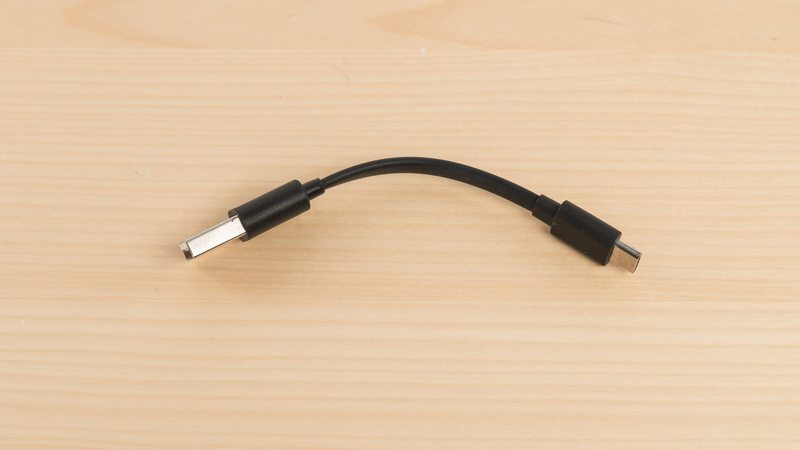 Also, some users have experienced issues with the sweat-resistant design when the charging clip is connected. This means they're more likely to get damaged if used while charging. These headphones are quite stable. They're lightweight, wireless and don't move much once in your ear, provided you get the right fit. This makes them suitable headphones to use at the gym, especially if you use both the foam and wingtips. You can also use the cable management units in the box and make the cable pass behind your ears to further increase their stability if needed. They come with a USB charging cable and a proprietary Micro-USB adapter. The Jaybird Freedom are decent sounding closed-back in-ears with a sound nearly identical to that of the X3 and Run. With a proper fit, they can deliver a consistent and extended bass, an excellent mid-range, and a well-balanced treble. This makes them suitable for a wide variety of genres from EDM and hip-hop, to rock and jazz. However, they tend to sound a bit boomy in the bass range and vocals could sound a bit cluttered and recessed in their mid-range. Also, like most other closed-back in-ears, their soundstage tends to be small and perceived as located inside the listener's head. The bass of the Jaybird Freedom is very good. LFE (low-frequency extension) is at 10Hz, which is great for bass-heavy genres like EDM and hip-hop. Low-bass and mid-bass are also virtually flat, indicating a good balance between thump and punch for the bass and kick instruments. The overemphasis in high-bass, however, will be noticeable as it will make the bass sound a bit boomy. Very good mid-range. The bump in low-mid, which is the continuation of the high-bass overemphasis, makes the vocals a bit thick and mixes a bit cluttered. The dip surrounding 800Hz will push the vocals/leads to the back of the mix. However, at about 3dB, these effects will be subtle. The treble is very good. Low-Treble is a bit inconsistent. The dip surrounding 5KHz hurts the clarity and detail of vocals/leads slightly. They also show a bit of a bump in the sibilance range, but not as bad as the X3 or the Run. However, this could be within the margin of variance for our test unit, and the one you buy may match the X3 and the Run perfectly. The bass and treble delivery of the Jaybird F5 is very consistent. However, this is assuming the user is able to achieve an air-tight fit and seal using the assortment of the tips that come with the headphones. But, if a proper seal is not achieved, there could be a big drop in the amount of bass that is generated by these in-ears. The stereo imaging is great. Their weighted group delay is at 0.11, which is among the lowest we have measured. The group delay graph also shows that the entire response is well below our audibility threshold. This ensures a tight bass and a transparent treble reproduction. Also, the L/R drivers of our test unit were decently matched. This is important for accurate placement and localization of objects, such as footsteps and instruments, in the stereo field. 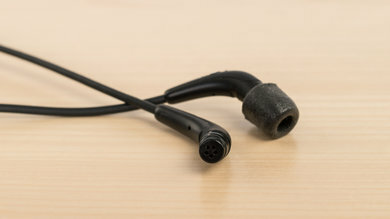 The soundstage of the Jaybird Freedom, like most other in-ears, is poor. This is because to create a large and out-of-head soundstage, the headphones need to activate the resonances of the pinna (outer ear). 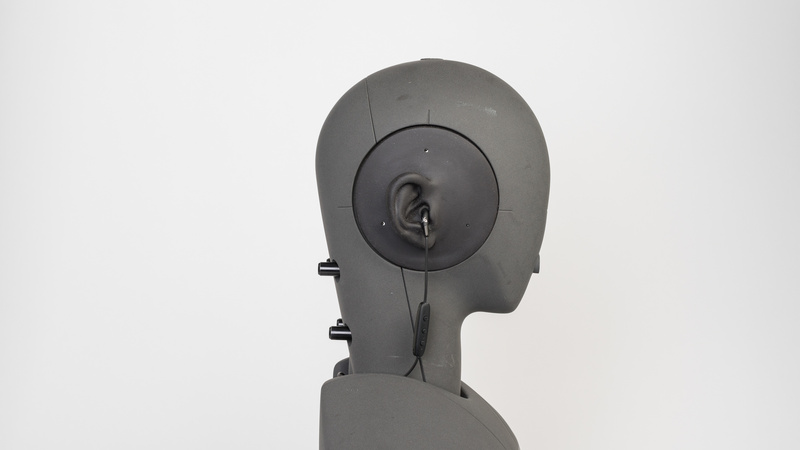 However, since in-ears bypass the pinna and are inserted directly in the ear-canal, their soundstage will be perceived as small and located inside the listener's head. Also, because of the high isolation, these in-ears won't sound as open and spacious as open earbuds such as the Apple AirPods, Google Pixel Buds, and Bose SoundSport Free. The harmonic distortion performance is average. The overall amount of harmonic distortion is slightly elevated, especially above 1KHz. On the plus side, they seem to be handling higher volumes well, since the rise in distortion at higher volumes is within good limits. This suggests that they may be able to take a good amount of EQ boost in the bass range before distorting. The Jaybird Freedom Wireless passively isolate better than some active noise canceling headphones. They block enough ambient noise to be a good option to use in loud environments. This makes them suitable for commuting and traveling (see our recommendations for the best travel headphones). They also barely leak so even if you listen to your audio at higher-than-average volumes, you will not distract the people around you. The Jaybird F5 provide a good passive isolation. In the bass range, where the rumble of airplane and bus engines sit, they achieve about 8dB of isolation similar to the X3, Run, and BeatsX. Although this is below-average, it is still quite impressive for a passive in-ear. 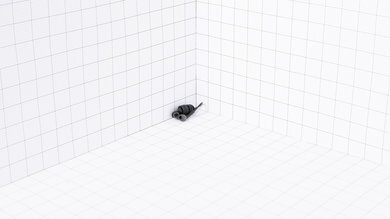 In the mid range, which is important for isolating speech, these in-ears are able to achieve a good 18dB of isolation. In the treble range, which is occupied by sharp S and T sounds, they attenuate outside noise by 40dB, which is excellent. The leakage performance is excellent. These in-ears do not leak below 1KHz, which is great. The significant portion of the leakage is around 3KHz, which is very narrow range. The level of the leakage is very low too. Overall, the leakage of these headphones won't be noticeable to people around you, unless you are blasting your music and are in a very quiet environment. And even in that situation, the sound leaking out the headphones will be very thin. The performance of the Jaybird Freedom's integrated microphone is mediocre. 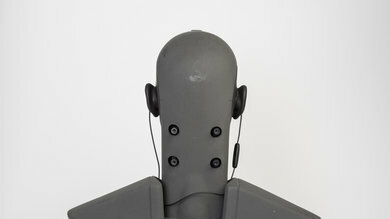 Voice recorded/transmitted with their mic will sound noticeably thin and muffled. However, speech would still be easily understandable in quiet environments. In noisy situations however, they to struggle to separate speech from ambient noise, even in moderately loud environments such as a busy street. The recording quality of the mic is mediocre. The LFE (low-frequency extension) of 330Hz indicates a voice that sounds thin. The HFE (high-frequency extension) of 3.5KHz results in a speech that is noticeably muffled and lacking presence. However, this doesn't have a big negative effect on the speech intelligibility, since that is mostly dependent on the 500Hz-3KHz range. The mic is mediocre at noise handling. 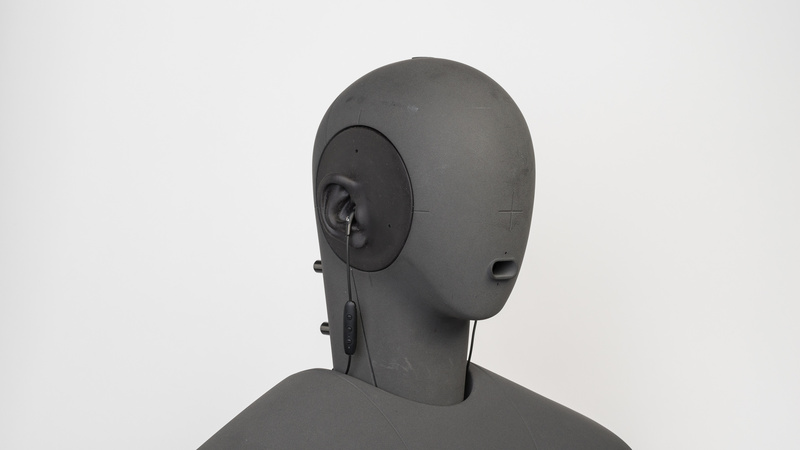 In our test, they achieved a speech-to-noise ratio of 15dB, which is below average. This suggests that they are best suited for quiet environments and may struggle in moderate and loud places. The Jaybird Freedom have a slightly short battery life, but on the upside, they don't take long to charge. The charging clip also provides an additional 4 hours of power, and you can use them while they're charging. This would be convenient if the bulky charging clip didn't reduce their stability. On the other hand, the MySound app provides a great parametric equalizer and community-oriented experience. It's lacking a few features but overall it's an above-average app that lets you personalize your jaybirds to sound the way you want. The battery life of the Jaybird F5 is just above 4 hours. They also charge relatively fast, 20 mins of charging giving you up to 1 hours of listening. Charging clip also adds another 4 hours to the battery life which makes the battery performance slightly better than that of the X3 as long as you don't mind having the somewhat bulky dongle dangling from the inline remote. On the upside, you can charge them with the charging clip while using them although they will briefly shut off for safety purposes. If the charging clip system is a deal breaker for you then maybe consider the Anker Soundcore Spirit X or Aukey Latitude for their longer continuous battery life and easy to use microUSB port. 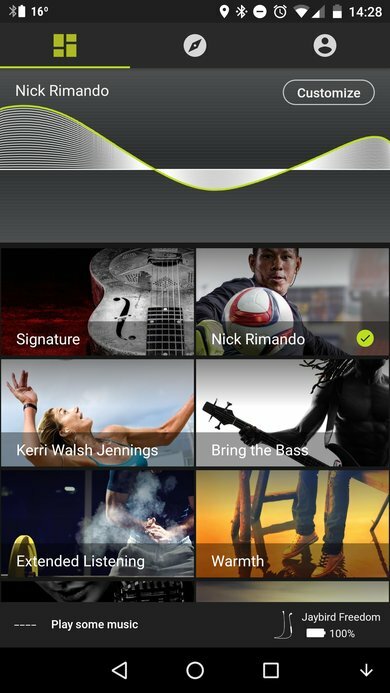 Jaybird MySound is a community-oriented app that lets you share presets for the Freedom and the X3. It also has an excellent parametric equalizer. While they lack some additional features like room effects and an in-app player, the app feels useful and allows you to personalize your sound profile to better match your tastes and mood. Update: 08/03/2019: We've updated the app score of the Jaybird MySound app to reflect the customization level of their Equalizer. Unlike most phone apps, they have a parametric EQ compared to a typical 5-band graphic one. The Jaybird Freedom Wireless have a good wireless range, but can be slightly laggy when watching videos due to their relatively high latency. They also do not support NFC, or any low latency codecs, which is not ideal. On the upside pairing with most Bluetooth devices is fairly easy. These headphones do not support NFC but they're fairly easy to pair with most Bluetooth devices and have multi-point pairing so you can easily switch between Bluetooth sources once paired. The Jaybird Freedom have no wired option. If you want a good sounding wired in-ear, then check the 1More Triple Driver In-Ear. These headphones do not have a dock. If you want a headphone that's versatile and has a dock, try the SteelSeries Arctis 7. 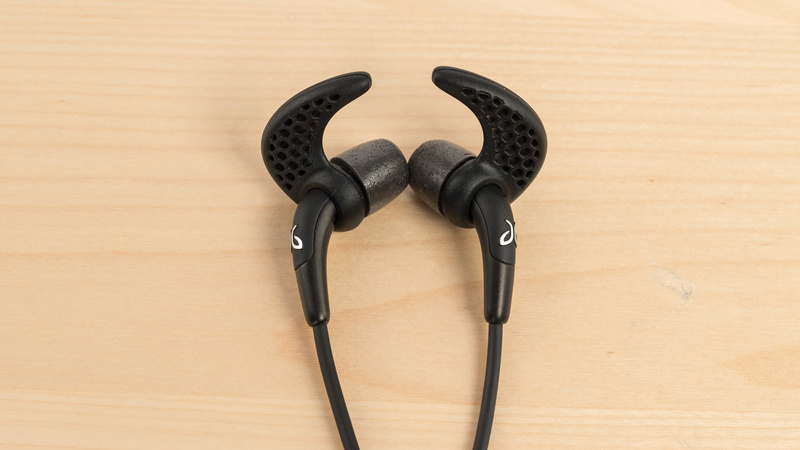 However, they won't be as portable or as suitable for sports as the Jaybird F5. The Jaybird Freedom have a good wireless range. They reached just above 35 ft when we measured their obstructed range by leaving the Bluetooth source in another room. 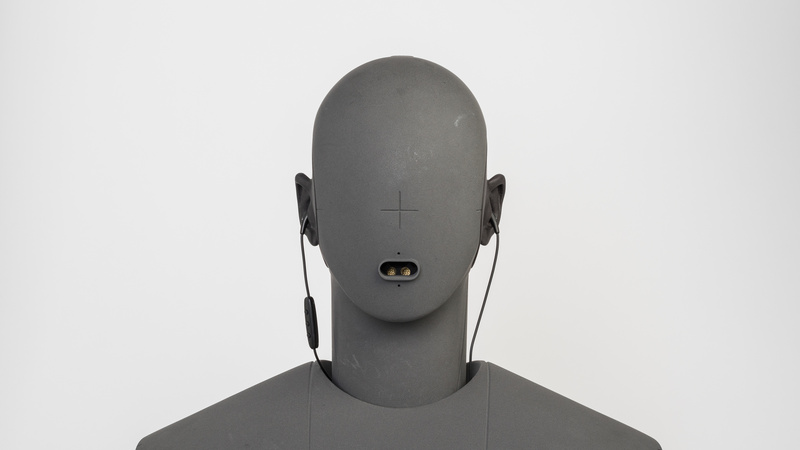 They also have an excellent range in direct line of sight for a compact in-ear headphone. The Jaybird Freedom have quite a bit of latency which will be noticeable when watching videos. It's not more than most typical Bluetooth headphones but it won't be ideal for gaming and watching movies. The Jaybird Freedom Wireless are a more lightweight and portable version of the Jaybird design. They're great sports headphones and also have a good customizable app. However, their battery performance and charging clip could and should have been improved. See our recommendations for the best noise cancelling earbuds, the best wireless earbuds for running, and the best wireless earbuds for iPhone. The Jaybird Freedom are a slightly better sports headset than the Jaybird X3, although not by much. The Jaybird Freedom have a slightly smaller and more compact in-ear format that's easier to carry around when the charging clip is not attached. The Freedoms are also a bit more comfortable, breathable, and have a slightly better treble range on their default sound profile. On the other hand, the X3 are better built, have a longer battery life that does not require a bulky charging clip, and they're slightly easier to use with a better in-line remote. Their build quality also feels a lot more premium than that of the Freedoms. The Jaybird Freedom 2 are very close in performance to the Jaybird Freedom. They have the same overall design and build quality. The Freedom 2 have a slightly more comfortable earbud-like fit than the originals, and they also have better cable management. On the upside, the regular Freedoms have a slightly better sound quality out-of-the-box and a more isolating in-ear fit, although both headphones can be easily EQed with the MySound app. They also both come with the same bulky charging clip that's a bit limiting and will prevent you from being able to charge your headphones if lost or damaged. The Jaybird X2 are a slightly better wireless headset overall than the Jaybird Freedom. The X2 have a much simpler charging port on the back of the right earbud, so you do not need to carry around a bulky charging clip like with the Jaybird Freedoms. The X2 also have a longer battery life, lower latency, and a slightly better-balanced default sound but can't be EQ'd. The Freedoms, on the other hand, have a more portable design (when not using the charging clip) and smaller earbuds that are a bit more comfortable than the X2. They also benefit from great app support so you can customize their sound quality to better match what you are listening to. The Jaybird Freedom are slightly better sports headphone than the Bose SoundSport WIreless, mostly due to their isolating in-ear fit which might not be as important for outdoor runners. The Bose have a more comfortable earbud fit with a semi-open design that's a bit better suited for running outdoors but won't be as good for blocking noise in louder environments. The SoundSport also have a much better sound quality than the Freedoms with a longer continuous playback time but a shorter battery life overall. 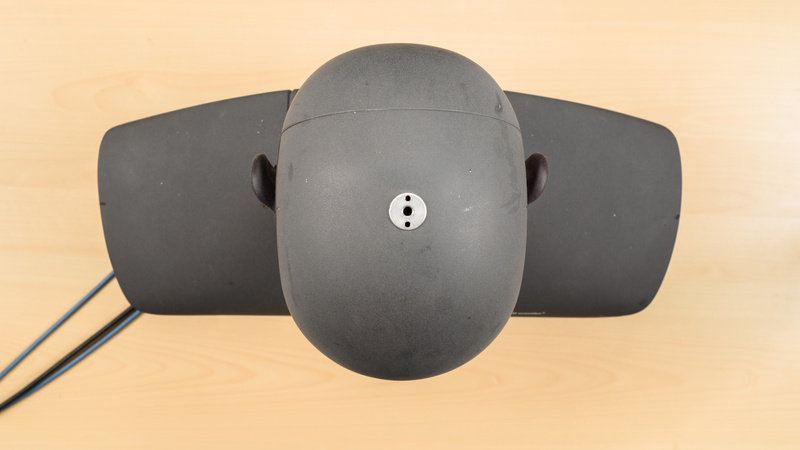 The Jaybird, on the other hand, have a better isolation performance for noisy and quieter conditions. They also have easier to use controls and slightly longer battery life overall thanks to their charging clip. You can also customize their sound profile with their app, which you can't with the Bose. The Jaybird Freedom are much better headphones overall than the JBL E25BT. 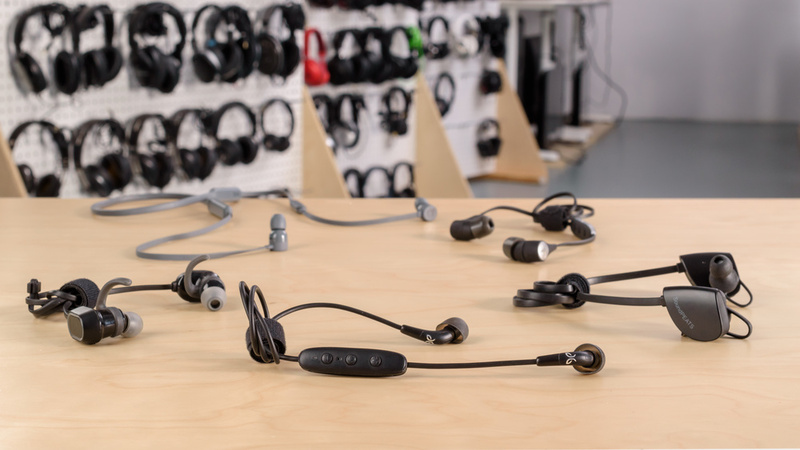 The Jaybird have more customization options, they're more comfortable, and they're more suitable for sports thanks to their multiple tips and stability fins. The Jaybird also have better build quality than the JBLs. On the upside, the E25BT can pair with two devices simultaneously, so you can quickly switch between your phone and tablet. They also have a longer battery continuous battery life than the Jaybird and do not need a cumbersome charging clip. The Beats BeatsX are about as practical as the Jaybird Freedom for most use cases. The Beats have a better-balanced sound quality but no EQ. They also have a more durable build quality, a faster-charging battery life, and a much better wireless range and latency performance than the Jaybirds, especially when using them with iOS devices. On the other hand, the Jaybirds have a customizable sound quality and aren't as limited on Android as the BeatsX, which makes them slightly more suitable for a wider selection of listeners. The Jaybirds also have a longer battery life overall thanks to the additional 4 hours provided by the charging clip, and their smaller earbuds are slightly more comfortable to wear for most listeners. The AUKEY Latitude and Jaybird Freedom are very similar headphones. The AUKEYs have slightly better isolation performance, better battery life, and better wireless range. However, the Jaybird are compatible with the MySound app that lets you EQ the sound of the headphones to your preference. If you’re looking for sports headphones and don’t need long battery life, the Jaybirds might be a better choice for their customization options, but they are more expensive. The Jaybird Freedom's are decent headphones for everyday casual use. They have a sleek wireless design that's stable enough for working out and to use on your daily commute thanks to their high, passive noise isolation. Unfortunately, they're not as sturdy as the other Jaybird models and they have a relatively short battery life since using them with the charging clip makes them a bit unstable. Average for critical listening. They have a decent audio reproduction with a good bass, mid and treble response. However, due to their closed in-ear design, they have a poor soundstage which won't be ideal for more critical listeners. On the upside, their overall sound quality is good enough for most and they come with a good parametric EQ. Good for commuting. They're portable and passively isolate from ambient noise better than some noise canceling headphones. However, you have to find the right fit and get a good seal and their charging clip is a bit cumbersome and limiting. If you forget the clip at home, you won't be able to charge the headphones. The Jaybird Freedom are great headphones for sports. They have a lightweight and portable design that's easy to have on you at all times. They're also stable enough to workout with, provided you can achieve a good fit with the extra foam and wingtips. Unfortunately, you can't run with them with the charging clip on the in-line remote as they become quickly unstable. Above-average for office use. They isolate well and barely leak. This makes them suitable to use in a lively or quiet office environment. 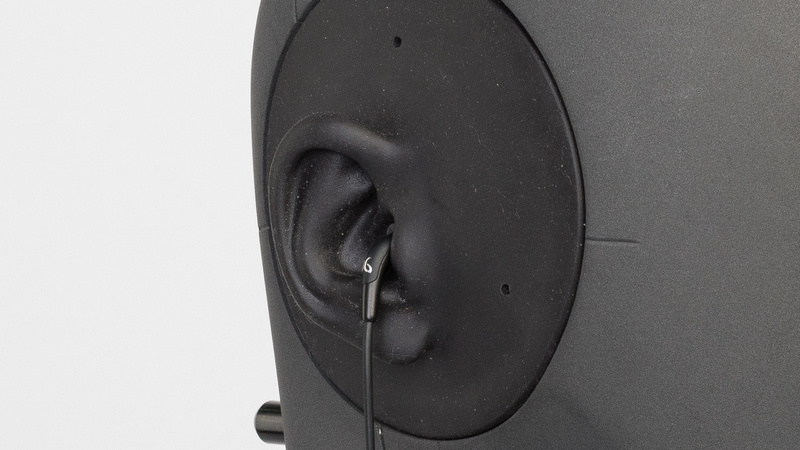 However, the in-ear design might not be ideal for really long listening sessions. Below-average for home theater. They have more latency than the Jaybird X2 but perform slightly better than the X3. Unfortunately, this latency makes them less suitable for watching movies and their in-ear design won't be as comfortable for everyone, especially for watching long videos. Below-average for gaming. The Jaybird Freedom have a mediocre microphone, and a bit too much latency to be suitable for gaming. They're also not the most comfortable headphones to wear for long gaming sessions, and their battery life is relatively short.